Over the first three Tuesdays of September, young Jewish adults and Israel Programs alumni attended the exciting inaugural Mind, Body, Soul series. Presented by ZFA Israel Programs as an alternative form of reflection during the high holy days, the series presented three different events for young adults. The first session, “Mind” presented a thought-provoking panel discussion on ‘Who is the Jew in You?’ The panel featured Gary Samowitz (CEO of Jewish Aid Australia), Bram Presser (Yidcore’s ex-Punk rocker), Manny Waks (CEO of Tzeddek) and Sasha Klyachkina (ZFA Shlicha for the Russian Speaking Community). Each panelist shared their own personal Jewish journey and ever-evolving understanding of their Jewish identity. The sentiments were followed by an intimate conversation as audience members shared their own stories and unique backgrounds. 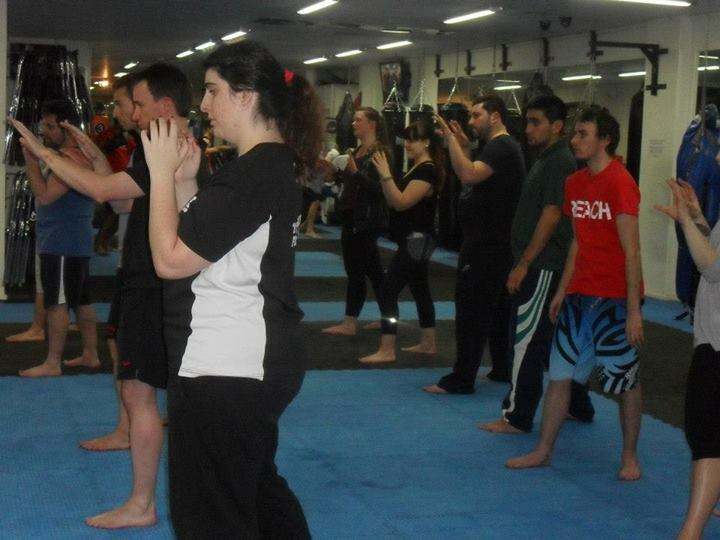 The second session “Body” was hugely popular with Avi Yemeni and his team at IDF Training Krav Maga teaching the basics of Krav Maga. The participants were also treated to a real-life experience with laser lights. The final component of the series, ‘Soul’ was a discussion about Kabbalah and Meditation, hosted by Rabbi Daniel Rabin. 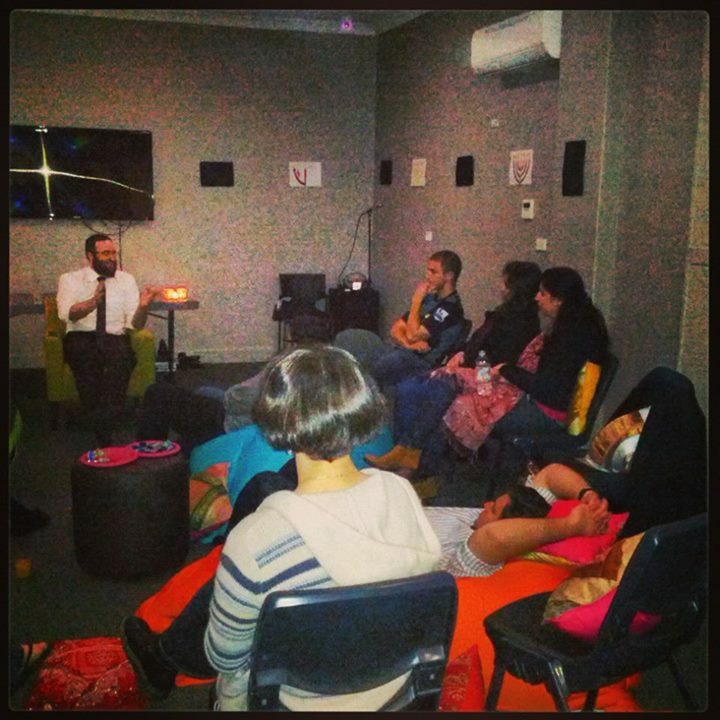 Held at the Lamm Jewish Library of Australia, young adults lounged on beanbags and enjoyed chocolates as they reflected upon the spiritual side of their Jewish identity. 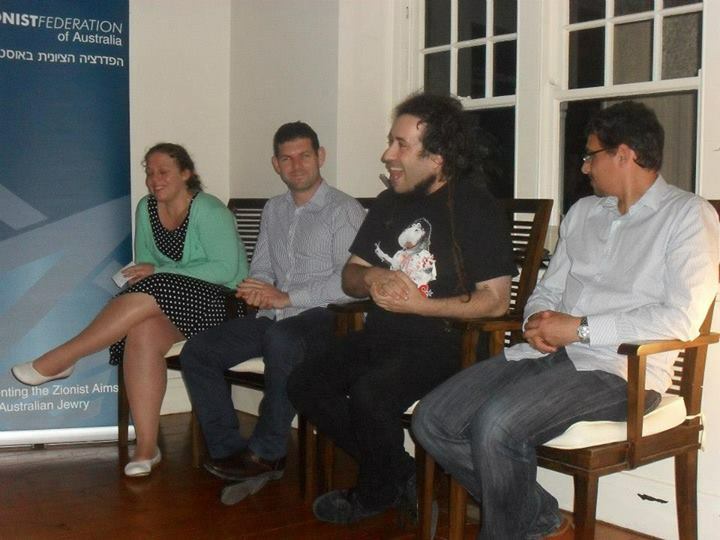 The series attracted over 60 attendees, and was followed by a very successful Sukkot Party on Tuesday 24 September.